Gameboys are great, but arguably the classic analogue chip sound belongs to the Commodore 64. 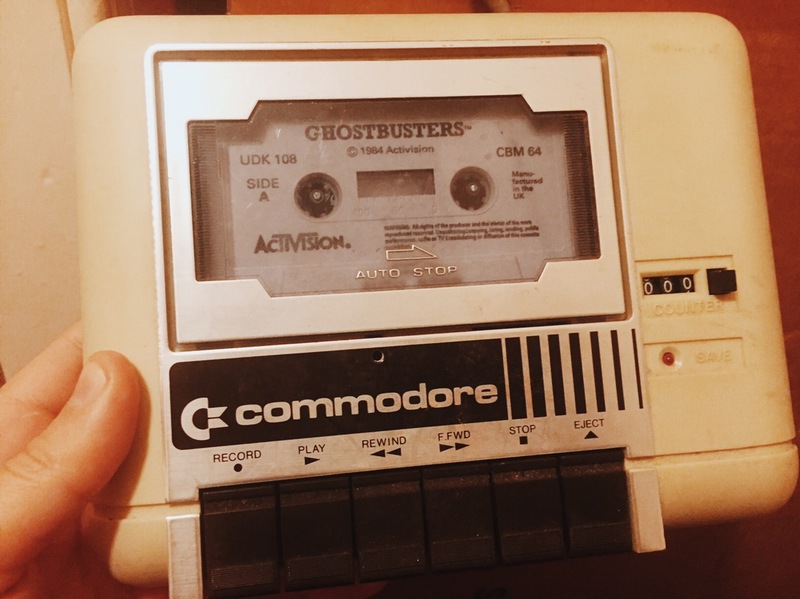 The C64 was my very first computer, one that my parents got me when I was only about 4 or 5. As a result, it holds a particularly special place in my heart. Sadly the actual one that I had from back then disappeared at some point, but I tracked down a replacement later on, complete with one of the coveted working 6518 sound chips (or ‘SIDs’). 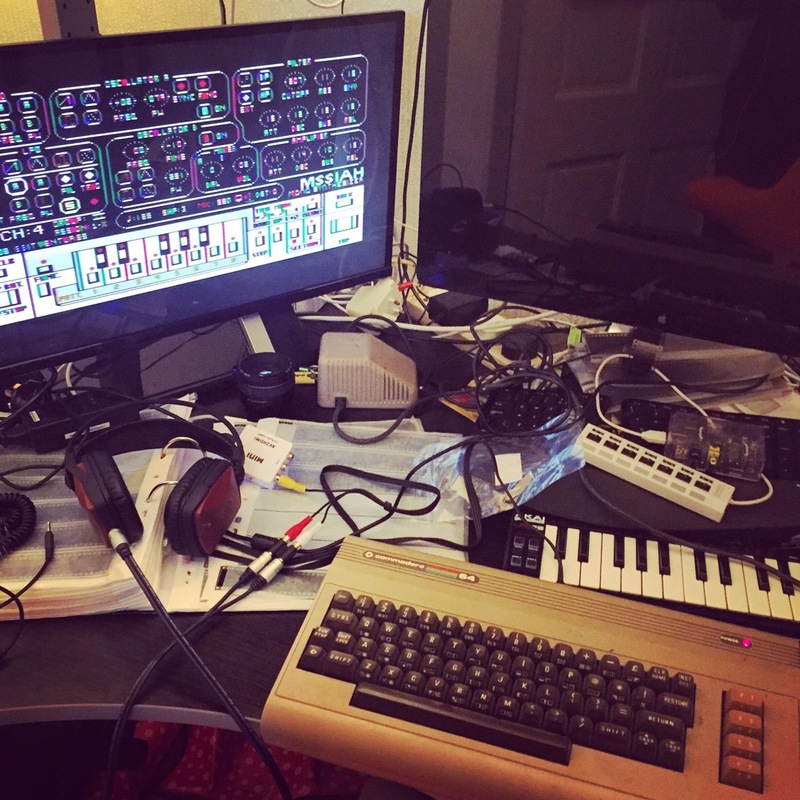 For ages I’ve wanted to bring the C64 back to life and use it as a vintage analogue synth, but the space required to leave it set up was always prohibitive. In my foray back into music, I decided it was time to take the plunge. My desk is a bit of a jumble just now with various things on the go, but that’s not where it’s going to live permanently. For the technically curious, here I’m using a C64 DIN out to phono/composite cable, with the video end going into an AVI to HDMI box for the monitor, and the audio portion connected up to my headphones using a phono coupler and phono to mini jack cable. This is just the testing setup though. When I switch to actually recording with it, I’ll be using a VGA monitor and running the phonos straight to a mixing desk for output. I’m going to use it in a couple of different ways: to play directly as a synth, but also as an external synth controlled by the Gameboy, using LSDJ as a sequencer (see my previous post on this…). Using a MIDI thru box, I could run different channels into different devices simultaneously, which would sound amazing. but they’re not the most practical – taking up a lot of space and being a pain to use. 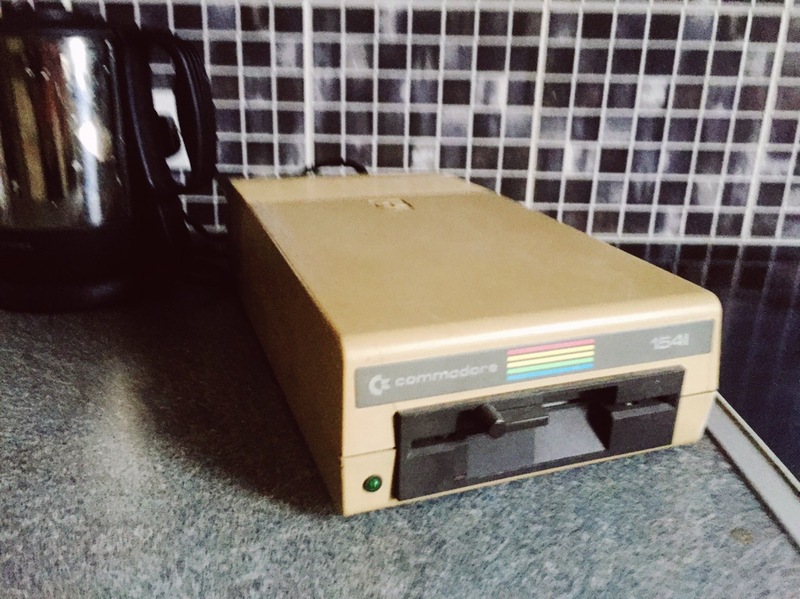 In the past few years some intrepid people have developed gadgets such as a C64 cassette tape hardware emulator – that plugs into the back and allows you to save onto SD card. They’re pretty smart, but relatively pricey, so I need to see how much I’m actually going to use the thing before I commit. Second SID – You can install two sound chips in the C64 with a bit of modification so that it can play polyphonically, and make it really sing. This doesn’t look too difficult to do, and could be a fun project for later down the line. I’d be interested to see if I can run two different chips (with different sound qualities) simultaneously, but I’m not sure if it’s possible because of voltage etc. Needs further research. Picture upscaling – the video output was never designed for modern monitors, and certainly not to be run over HDMI at 1920×1080. As a result, the picture looks terrible – and the controls are almost incomprehensible with my crappy eyesight. I’m sure there are ways to improve upon it, such as through the use of a decent upscaler, but it also needs a bit more exploration. The most important thing though, is getting it working as a synth first and foremost. At the moment, the sounds sound pretty weak. I suspect that might be because I’m not running them through an amp – so I’ll check that out. I’ve ran the diagnostics and the chip is fine, so it’ll require a bit more investigation. Just a matter of getting time to sit down and play with it.